admin 4 years, 11 months ago. A Residual Current Circuit Breakers is another different class of Circuit Breakers. A Residual Current Circuit Breaker (RCCB) is essentially a current sensing device used to protect a low voltage circuit in case of a fault. It contains a switch device that switches off whenever a fault occurs in the connected circuit. Residual Current Circuit Breakers are aimed at protecting an individual from the risks of electrical shocks, electrocution and fires that are caused due to faulty wiring or earth faults. RCCB is particularly useful in situations where there is a sudden earth fault occurring in the circuit. e.g. A person accidentally comes in contact with an open live wire in the circuit. In such situation, in absence of an RCCB in the circuit, an earth fault may occur and the person is at the risk of receiving an electrical shock. However, if the same circuit is protected with RCCB, it will trip the circuit in fraction of a second thus preventing the person from receiving an electrical shock. Therefore, it is a good and safe practice to install RCCB in your electrical circuit. As explained above, RCCB is meant for protection from earth faults and associated risk to human life such as electrical shocks. The underlying fundamental principle behind operation of RCCB is that in ideal situations the current flowing in to the circuit through live (hot) wire should be same as the returning current from the neutral. RCCB is designed such way that it continuously senses and compares for difference (residual current value) in current values between the live and neutral wires. Any small change in the current value on account of such event would trigger the RCCB to trip off the circuit. 2 Pole RCCB: It is used in case of a single phase supply that involves only a live and neutral wire. It is as displayed in image below. It contains two ends where the live and neutral wires are connected. A Rotary switch is used to switch the RCCB back to ON or OFF positions. A test button helps to periodically test the RCCB functionality. 4 Pole RCCB: It is used in cases of a three phase supply connection involving three phase wires and a neutral. It is as displayed in image below. It consists of two ends where the three phases and neutral wire is connected. Besides this it is similar in construction and operation as 2 Pole RCCB. RCCB is primarily designed for protection from earth fault and its consequence to human life such as electrical shocks. As per studies, a person is able to sustain electrical shocks only to the magnitude of 30 mA. Thus, RCCBs in low voltage protection are designed such a way that they will trip off the circuit even for small change in residual current value of up to 30 mA. The response time is usually within 40 mSec, thus ensuring that the person is fully protected from electrical shocks at all times. Higher values of 300 mA are used in cases where a protection from fire hazard is sought. This is useful in places where a lot of flammable material is stored. RCCB is an essential protective device in your electrical circuit that helps to prevent electrical hazards in cases of earth faults. A properly set RCCB will ensure that there is no fatal injury caused to human being in case of an accidental touch to live wires. What more can you say about this kid of Circuit Breaker? Thank you for your Article regarding the RCCB. It is very useful to me. Could you please give me an idea about the differences between? ELCB, RCCB, RCBO, GFCI (Ground Fault circuit Interrupter) please. You must be aware of the fact that there are billions people living without electricity out of USA in this 21st century. For Example: In Afghanistan, only 6% people have access to home electrical power though, Americans’ presence in this country had been since 13-years (2001-2014). They have capitalized several un-literate Afghan most corrupted individuals in the country to easily rule Afghanistan by force that is impossible. Afghanistan with several millions Muslim inhabitants live in this Islamic State of Afghanistan. I love the people of USA but not the politicians. They have not invested a penny in generation of Hydropower Energy where we have many Rivers, read your Geography. We have the potential to generate 23,000 MGW Hydropower in Afghanistan. We engineers all around the world are not serving humanity that is out of being human being. We are functioning under wrong- doing Politicians. Send some good article in grid design so that I can share it with my college Afghans students. I am a USA- educated but idle because of the wrong politics of USA in this 21 first century around the world specifically, in most poor countries. Lesson; never, and never touch somebody ideology by force. We are now all citizen in this globalization world so, why touch peoples ideology???. In any (2 OR 4 pole)rccb out put side neutral wire contact with earth, then rccb become trip(fault) neccesory. Remove neutral wire from earth contact. It is helthy (safe)condition. The Neutral point in the output side of any RCCB or RCBO or ELCB shouldn’t be connected the the Earth point. RCCB: Stands for Residual Current Circuit Breaker. 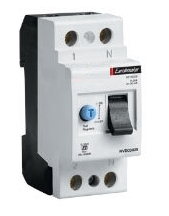 It is also known as Residual Current Device (RCD). RCCB senses the difference between current values in phase and neutral and breaks the circuit in case of an imbalance. In ideal situations, the current flowing through phase (hot) wire equals the returning current in the neutral. However, in case of fault conditions such as an earth fault the current flowing through neutral would not be same as flowing through phase and hence it trips the circuit. ELCB: Stands for an Earth Leakage Circuit Breaker, is used to protect the circuit from an earth fault. It is an old protection system based on voltage based protection device. It is nowadays replaced by RCCB. ELCB is connected between the circuit and the system earthing system. It is a voltage operated device and detects any rise in potential between the circuit and the system earth and trips the circuit. RCBO: Residual Circuit Breaker with Overload. 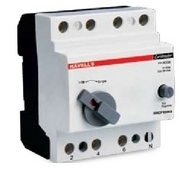 Is a circuit breaker that offers both Residual Current and Overload protection in one single device. GFCI: Stands for Ground Fault Circuit Interrupter. It is another name for RCCB/RCD. This term is used in USA whereas RCCB/RCD term is used in UK and Europe. Functioning of both is much the same. When connecting RCCB (2p or 4p). What to do with earth connection at DB, all earth wire should be removed from link at DB or it should remain connected. any one can expkain, why RCCB is trip when neutral and earth touch in secondary side, since RCCB sence only difference in neutral current comparing with phase? Why RCCB is tripping during lightening and which type of RCCB is suitable for invertor out let. Dear Manish please make sure that no connection should be loose in this circuit. in this RCCB what type of sensors are used ?? Hi, Can RCCB be installed on the mains even if there is no earthing in the house. In such a case, will it provide protection? Will it protect against neutral wire failure or disconnection in case of 3 phase connection? Which is the best way to protect the house in case of neutral failure in three phase connection? In my home I have 3 phase supply. Regular ELCB is installed on each single phase. But I had a problem of power surge inside my home possibly due to neutral connection in the distribution transformer. During short period, possibly single phase load experiences full phase to phase voltage. During this time, my single phase ELCB trips but before that there is a equipment damage also. For neutral cuts/loose contacts of three phase supply in 4 pole RCCB is the solution to protect the equipments in my home?